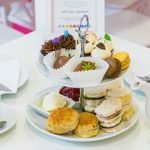 Hey Little Cupcake afternoon tea provides the opportunity to enjoy a truly scrumptious afternoon tea in bright and cheerful surrounds in the heart of Manchester’s lively Spinningfields. Perfect for combining a girly day shopping and catch-up with friends, Hey Little Cupcake is perfectly placed for a lovely afternoon out. 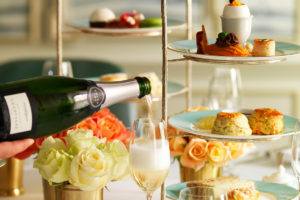 Served on tiered cake-stands, this quirky afternoon tea serves delicate cupcake shaped sandwiches with fresh, seasonal flavours. 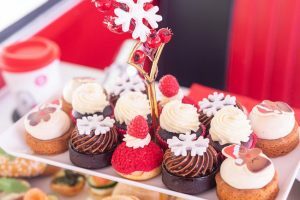 Bite into chocolate coated strawberries, mini cupcakes and hearty scones served with sweet jam and clotted cream. 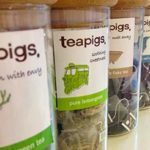 Choose from a variety of speciality teas or freshly brewed coffee (or something cold perhaps). Hey Little Cupcake caters for Gluten and Wheat free diets, but alas not Dairy free or Vegan. 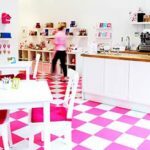 After your afternoon tea, why not take a moment to browse Hey Little Cupcakes gifts, cards and artwork. 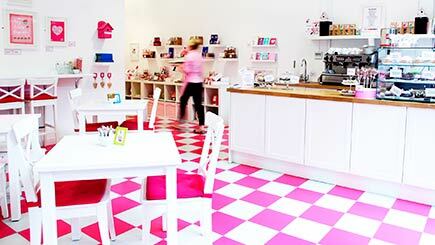 Why not treat someone to an afternoon tea at Hey Little Cupcake or simply spoil yourself. 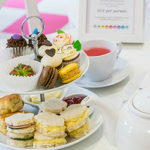 Available from Red Letter Days as a gift voucher, this fun afternoon tea is priced at £28 for Two. Your afternoon tea gift voucher is valid for 12 months, so plenty of time to organise the diary. For further information or to buy please select the Book Now button below. 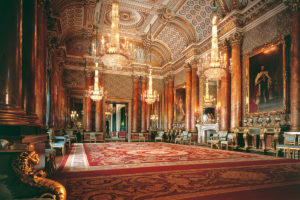 Why not browse our other Manchester afternoon tea venues.